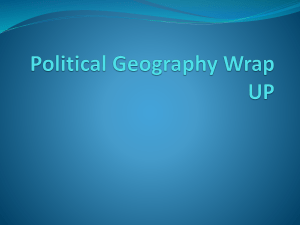 Geostrategy, a subfield of geopolitics, is a type of foreign policy guided principally by geographical factors as they inform, constrain, or affect political and military planning. As with all strategies, geostrategy is concerned with matching means to ends—in this case, a country's resources (whether they are limited or extensive) with its geopolitical objectives (which can be local, regional, or global). 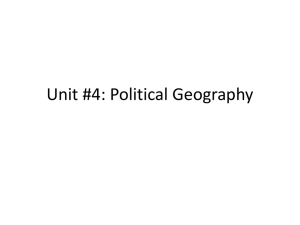 Strategy is as intertwined with geography as geography is with nationhood, or as Gray and Sloan state it, ""[geography is] the mother of strategy. 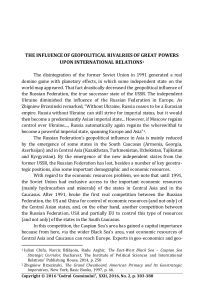 ""Geostrategists, as distinct from geopoliticians, advocate aggressive strategies, and approach geopolitics from a nationalist point of view. 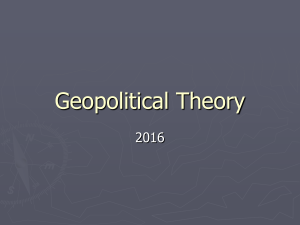 As with all political theories, geostrategies are relevant principally to the context in which they were devised: the nationality of the strategist, the strength of his or her country's resources, the scope of his or her country's goals, the political geography of the time period, and the technological factors that affect military, political, economic, and cultural engagement. Geostrategy can function normatively, advocating foreign policy based on geographic factors, analytically, describing how foreign policy is shaped by geography, or predictively, predicting a country's future foreign policy decisions on the basis of geographic factors.Many geostrategists are also geographers, specializing in subfields of geography, such as human geography, political geography, economic geography, cultural geography, military geography, and strategic geography. 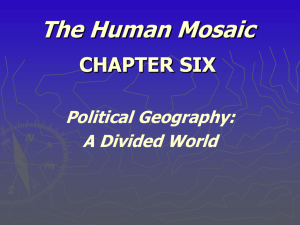 Geostrategy is most closely related to strategic geography.Especially following World War II, some scholars divide geostrategy into two schools: the uniquely German organic state theory; and, the broader Anglo-American geostrategies.Critics of geostrategy have asserted that it is a pseudoscientific gloss used by dominant nations to justify imperialist or hegemonic aspirations, or that it has been rendered irrelevant because of technological advances, or that its essentialist focus on geography leads geostrategists to incorrect conclusions about the conduct of foreign policy.